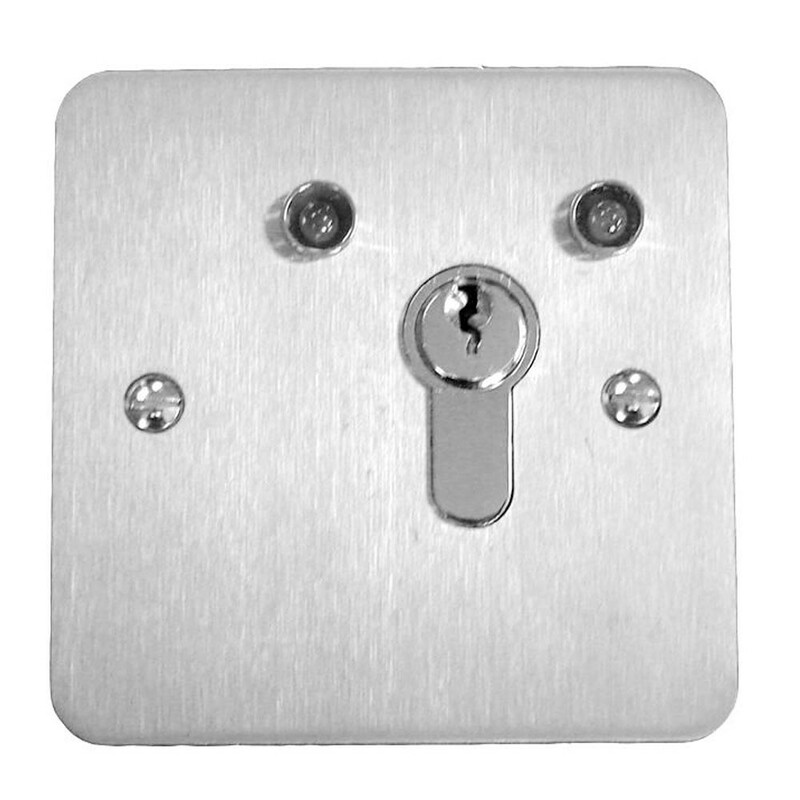 Key is removable in all three positions The Asec 1 Gang Euro Cylinder Operated 2 Position LED Key Switch has a half euro cylinder fitted onto a stainless steel plate and is supplied with 2 keys. The LEDs indicate the current state of the switch and the key can be removed in either position. Flush mounted (surface box available to order). 2 x LED lights to show current status. Euro cylinder can be changed to incorporate into masterkey system. Key is removable in both positions.